Tonight I was in an workshop with Ian MacKenzie at Parisoma in San Francisco. Ian was brilliant in going through thoughts, actions, and critical success factors pre launching, during launch and post launch a crowd funding campaign. If you are interested in crowdfunding check out this picture und get into contact with ian. 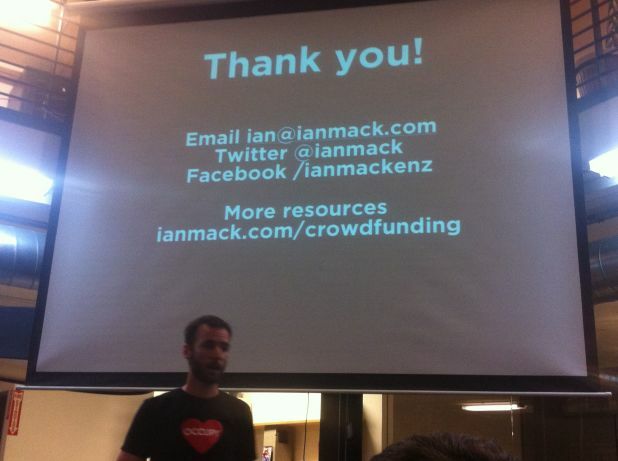 If you want to check out different crowdfunding platforms, go to ian's list! this is a great blog . the actual achievements with the tutorial immediately after it truly is published. Here has popularity of crowdfunding platforms like Kickstarter has grown rapidly.